The Samajwadi Party will contest 37 seats and the Bahujan Samaj Party 38 in Uttar Pradesh in the Lok Sabha polls, the two parties said Thursday while releasing a list of seats. While announcing the alliance earlier, the two parties had said they will contest from 38 constituencies each out of the 80 in the state. 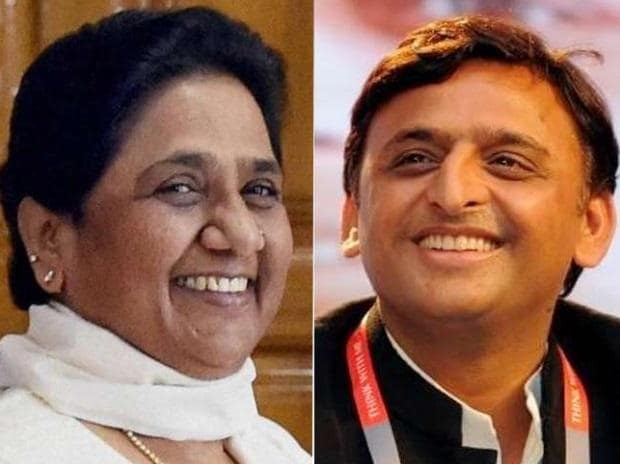 The two parties named the seats distributed among them in a statement signed by SP president Akhilesh Yadav and BSP chief Mayawati. The 37 seats in the SP quota include Kairana, Moradabad, Sambhal, Rampur, Mainpuri, Firozabad, Badaun, Bareilly, Lucknow, Etawah, Kanpur, Kannauj, Jhansi, Banda, Allahabad, Kaushambi, Phulpur, Faizabad, Gonda, Gorakhpur, Azamgarh, Varanasi and Mirzapur. The BSP will contest from Saharanpur, Bijnor, Nagina, Aligarh, Agra, Fatehpur Sikri, Dhaurahara, Sitapur, Sultanpur, Pratapgarh, Kaiserganj, Basti, Salempur, Jaunpur, Bhadohi and Deoria, among other constituencies.